I m workin on this page daily so many ppl I want to display i don't know where to start...Sorry for the drab background but I want you to pay attention ot the artwork :). 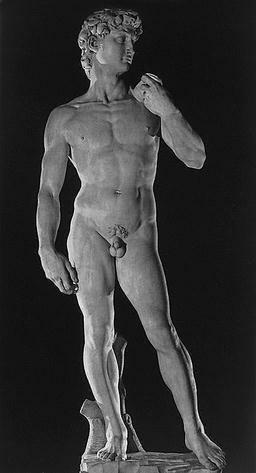 David is a gigantic (4.34 m/ 14.24 ft) marble statue, which he produced between 1501 and 1504. David was actually a "biblical" person. For more info on this please visit the Michelangelo page.